Summer of Love fun continues so definitely head out after dark to see the lights at the Conservatory of flowers, we can be groovy all summer long tomatoes! 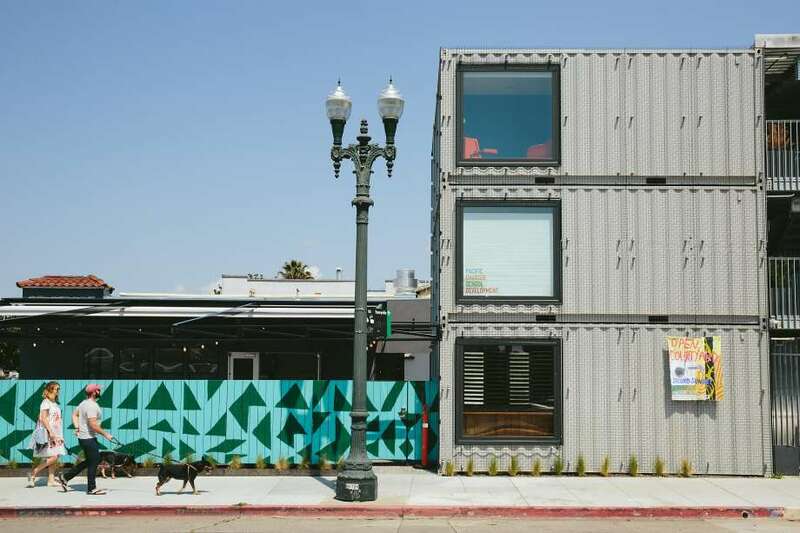 Oakland continues to grow, transform and shift with the times, check out what they have done with shipping containers. You know it’s festival season when you see all the young ones in their flower crowns. 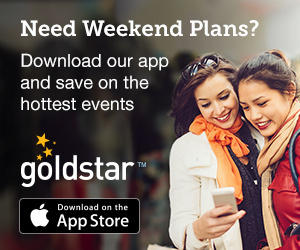 Grab your own and head to Stern Grove for the outdoor festival that tops them all. 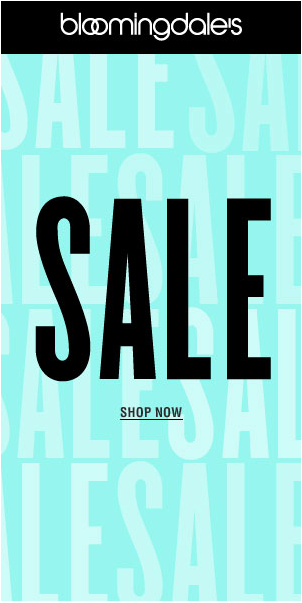 Starting now through September – fabulous! 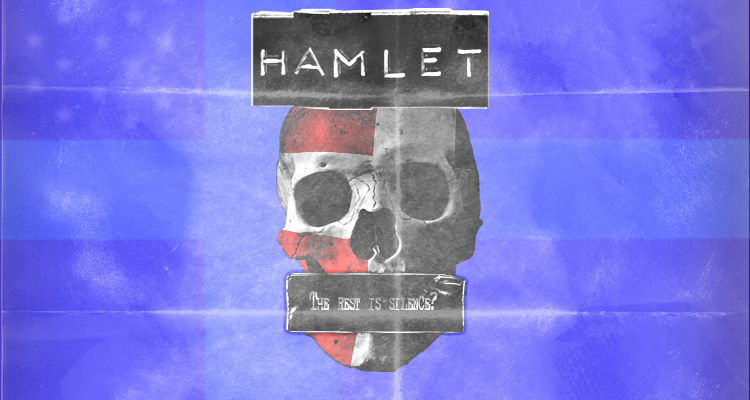 July is right around the corner and Shakespeare in the Park returns –: To be or not to be” Yes, it’s Hamlet this year! Let’s go grab some culture. One of my favorite places to visit in SF is the Conservatory of Flowers, and don’t think you need friends in town to stop by and explore the variety of blooming exhibits. From tropical plants to aquatic floating blooms, to the oddly scented corpse flower – there is always something magnificent to behold. However, now you might want to have dinner and head to the conservatory to see the beautiful new light projection in honor of the 50th Summer of Love Celebration. 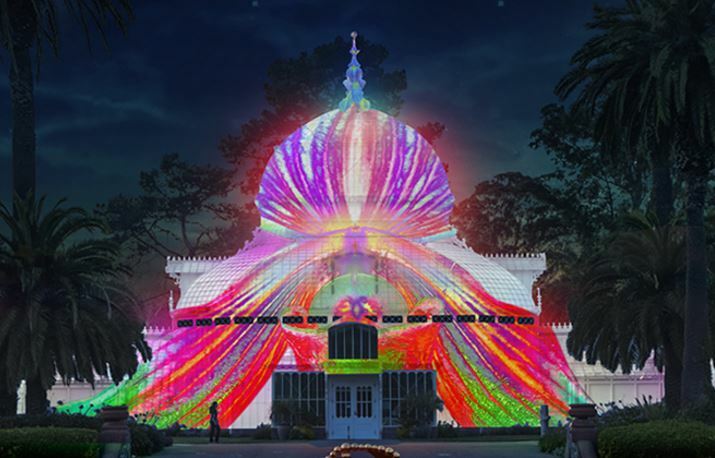 Illuminate, the art nonprofit behind the wildly popular Bay Bridge Lights project has bathed the all-white Victorian conservatory in a series of trippy-dippy projections of psychedelic colored flowers. This nightly transformation began this week and will run through the fall. So cool the way they connect the traditional flora inside the building with the spirit of the children of love who wore flowers in their hair. Get all the flowery details. Hey Tomatoes, you may know that I write a lot about Oakland. The food scene, the museum, the way the city is constantly in transition fascinates me. Now Oakland is once again on the cutting edge of architecture, space and keeping the city “green”. Mere steps from the MacArthur Bart station, a collection of stacked shipping containers is transforming the corner of 40th and MLK Jr. Way into a haven for creatives, makers, and fans of pizza and beer. Of course, it’s also sustainably built and solar powered. 33 shipping containers that are three stories high house such businesses as a vintage record shop, an apothecary stacked with homemade and organic products, and artisans of jewelry, clothing and all genres of art. One of my favorites on the second floor is The Hanged Man Co. part floral atelier, part tarot den and part retail space. Just head to Oakland for a yummy bite to eat and explore the annex. Your senses will thank you. Get the details. 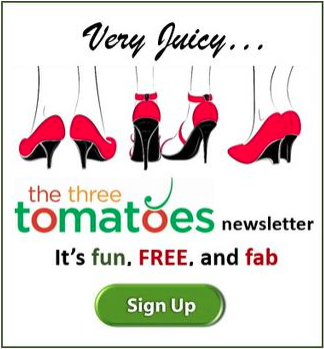 Celebrate Good Times – come on Tomatoes…. Kool and the Gang is the opening band that will kick off the 80th year of the FREE Stern Grove Festival this Sunday at 2 p.m. But get there early at 11”30 for The Big Picnic. Seriously, this outdoor venue has such fun entertainment planned through August. There is literally a band or performance for everyone. 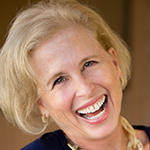 The founder, oh so many years ago, had the vision to provide access for the arts to all. 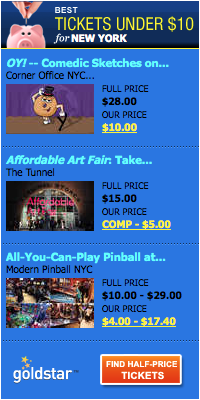 And look what this festival has become. Artists long to perform for the San Francisco community. This season brings a line-up that is unparalleled. Not only can you see our beloved SF Symphony and SF Ballet (remember it’s free! ), but you can also groove to Latin beats, stomp to The Stone Foxes, and hear soulful Mavis Staples. Get complete details. Free Shakespeare in the park brought to us by SF Shakes, celebrates year 35 with a production of Hamlet. The classic will be presented for the first time with this program featuring all the famous soliloquies which have become familiar the world over, you know “Oh, what a rogue and peasant slave and I”. Time to brush up your Shakespeare; I suggest reading a synopsis before attending, in case you don’t remember (we are tomatoes after all and sometimes we forget things!) You will relish the inner turmoil, the political situation, and the revenge. This Festival is so wonderful because it reaches thousands of people who otherwise don’t attend live theater or may never have experienced it at all. Bringing Shakespeare to the masses, wouldn’t William have loved it? Hamlet opens in Pleasanton on July 1st and runs through the end of September in other Bay Area Locations including Cupertino, Redwood City (let me know if you want to go with me), and two locations in the city. Details here.